Raghavan was the liaison to the LGBT community. 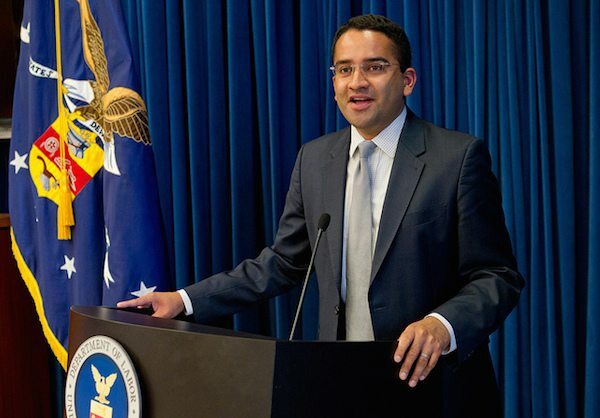 NEW YORK: The first openly gay Indian American official in the Obama administration, Gautam Raghavan, has quit his position as White House’s liaison to the LGBT community, to take on a position as Policy Director of the Gill Foundation, based in Denver, Colorado. The LGBT White House Liaison advocates gay issues within the administration, lets people know where the President stands on LGBT issues and progress on equality legislation. The Gill Foundation is one of the nation’s largest funders and organizers of lesbian, gay, bisexual, and transgender civil rights work. Incidentally, Raghavan, who was born in India, is the second high profile Indian American to work for the Foundation. Earlier, prominent LGBT rights activist Urvashi Vaid, who was born in India, but came to the US at a young age, served as a Board member. During his three-year tenure at the White House, Raghavan oversaw major changes within the administration, including the implementation of the U.S. Supreme Court decision against the Defense of Marriage Act and the signing of an executive order barring LGBT discrimination among federal contractors. Prior to his job as White House LGBT liaison, Raghavan worked as the Deputy White House Liaison to the Pentagon. In that role, he facilitated communications between LGBT advocates, the White House and the Defense Department during the process for “Don’t Ask, Don’t Tell” repeal and implementation of open service. In total, Raghavan served within the administration for five-and-a-half years, said the Blade. Metro Weekly reported that White House spokesperson Shin Inouye provided no timetable for naming Raghavan’s replacement. In the meantime, Monique Dorsainvil will serve in Raghavan’s place. Dorsainvil serves as the Director of Planning and Events for the Office of Public Engagement and the Office of Intergovernmental Affairs. Previously, she served as a staff assistant in the Office of Public Engagement working on the White House Council on Women and Girls and Lesbian, Gay, Bisexual, and Transgender Outreach. “We deeply appreciate Gautam’s work with the AAPI and LGBT communities on behalf of the White House Office of Public Engagement and wish him all the best in his next steps,” Inouye told Metro Weekly. Raghavan, who was raised in Seattle, and is a graduate of Stanford University, used to live with his husband Andrew in Washington, DC.